Testing Viral Teeth Whitening Kits - Do They Really Work? If you live in the world of Instagram, which I'm sure that you do, you'll be aware of the viral UV teeth whitening kits and just teeth whitening in general popping up all over the shop. I've not got the straightest teeth in the world so please excuse that - I stupidly refused braces when I was 13 because I was scared I'd get bullied for them but hey ho - here we are and I think they're okay for now! 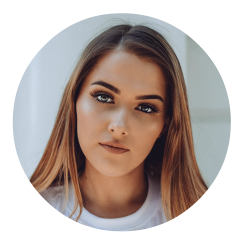 Since I've been blogging again, I've been contacted by quite a few teeth whitening companies about reviewing their kits/toothpaste etc and I'll admit, at first I was a little skeptical as I didn't want to become one of those teeth whitening/skinny tea type bloggers then I thought, 'do you know what? I would like to try whitening my teeth, stop worrying about what people think of you' and here I am with whiter, brighter teeth! 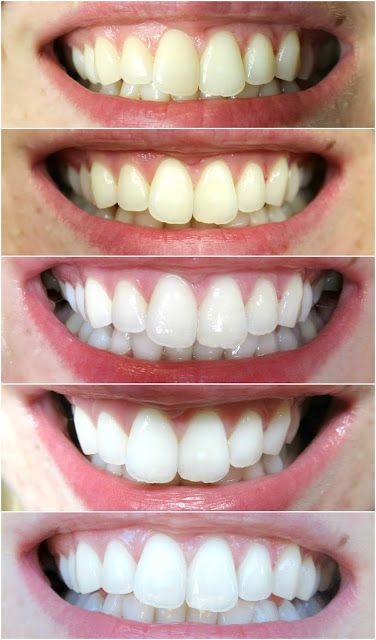 I started by taking a photo every day, then life got busy so here's an average over the past 3-4 weeks with the teeth whitening kit (the top two photos look a lot yellow but I can assure you that was just the time of day and I haven't edited my teeth in any way). Look at the difference! Amazing. You simply apply the teeth whitening gel to the teeth guard and switch on the blue UV light and sit for 30 mins whilst it whitens your teeth and I haven't had any issues with sensitivity either so I highly recommend this kit and thanks so much to Instant Whites for sending the kit out to me which you can find here. These are definitely the strangest photos I've posted on this blog by far but there you go!